IMPORTANT: This software is only for use with the products identified and sold in Australia, India, Indonesia, Malaysia, Middle East & Africa, New Zealand, Philippines, Singapore, South Africa, Thailand, Vietnam, Hong Kong or Taiwan. Not all models are sold in all countries. Power on the TV set and press the HOME button on the Remote Commander to display the Home Menu. Navigate to the Product Support from Settings category and press OK to select it. Navigate to System Information and select it. The version number is shown on the Software Version below. If your Software Version is PKG4.600GAA or higher, your TV does not need this update. You need to accept the Terms & Conditions before downloading the file. Please read all the information carefully and thoroughly before downloading and installing any file. Failure to follow the instructions may cause the TV set to be unresponsive or to require repair. After you have accepted the Terms & Conditions, download the sony_tvupdate_2013_4600_gaa_auth.zip file to a temporary or download directory (please note this directory for reference) on your computer. Go to the directory where the file was downloaded and verify that the size of the sony_tvupdate_2013_4600_gaa_auth.zip file is 200,205,953 bytes. 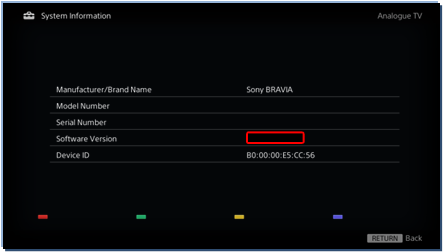 a. Right-click the sony_tvupdate_2013_4600_gaa_auth.zip file, and click "Properties". b. On the "sony_tvupdate_2013_4600_gaa_auth.zip Properties" screen, verify that the "Size:" listed is "200,205,953 bytes". c. If the file size is different than the "200,205,953 bytes", delete the downloaded file, clear your internet browser's cache and download it again. A folder sony_dtv0FA30A05A0A5_00002201 will be created in your local drive after being unzipped. Please copy the folder to the root of your USB device. The firmware update process may take up to 5 minutes. First read the whole procedure before starting to update the firmware of your TV set. Please do not remove the USB storage device until the update is complete. 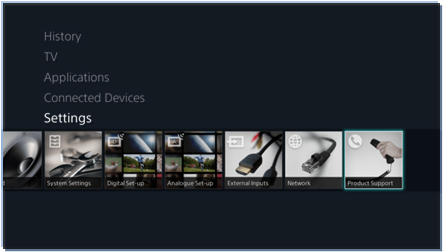 Unplug all of USB devices from 2 of USB inputs on your TV before starting firmware update. Insert your USB device containing sony_dtv0FA30A05A0A5_00002201 into the USB slot located at the side of the TV set. When finish copying update file from USB, the POWER indicator will be flashing under updating. (White color). 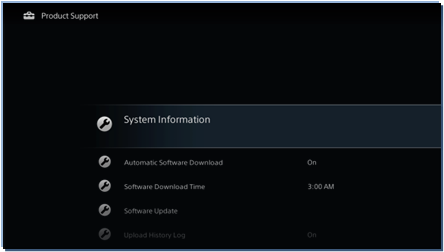 When the firmware update is completed, a message is displayed on the TV set. If your software version isPKG4.600GAA, the update was successful.